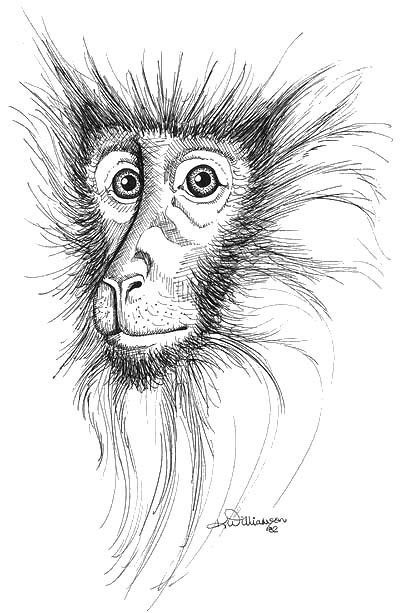 This monkey amuses me. Many monkeys amuse me. Some seem cute, and some, not quite so cute. I think the squirrel monkey is one of the cutest. The proboscis monkey is possibly one of the monkeys that I could not call cute at all. When a youngster, I once briefly knew and loved a monkey. He was a cute little pet of the family of a ranch-hand who worked for my grandfather. They kept him in a large cage most of the time, but one day, he got free and escaped out onto the farm/ranch. The poor little monkey was never seen again. I liked to imagine that he was living free in those wilds and that he was happy in the life that he had finally chosen. I feared that he had come to some harm (else why would he not have come home to his family? ), but I tried hard to imagine him happily ever after nevertheless. I love your picture of this monkey! I recently purchased a business name and have ‘monkey’ in the name. Is there any way possible to use this fun image as the business logo? Any information provided is much appreciated. Thanks for your compliment. I’ll have to talk to my business manager about that and get back to you as soon as I can.